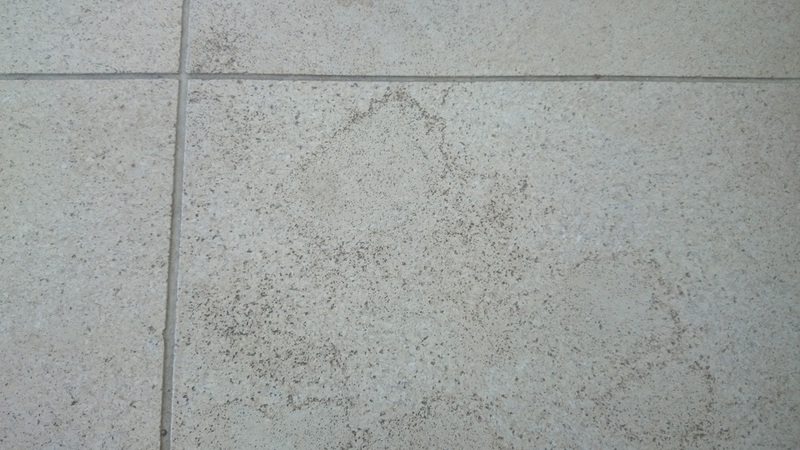 Common Problems with Limestone: Dark or Dirty Limestone Tiles / Floor, Holes & Cracks, Dirty Grout Lines. 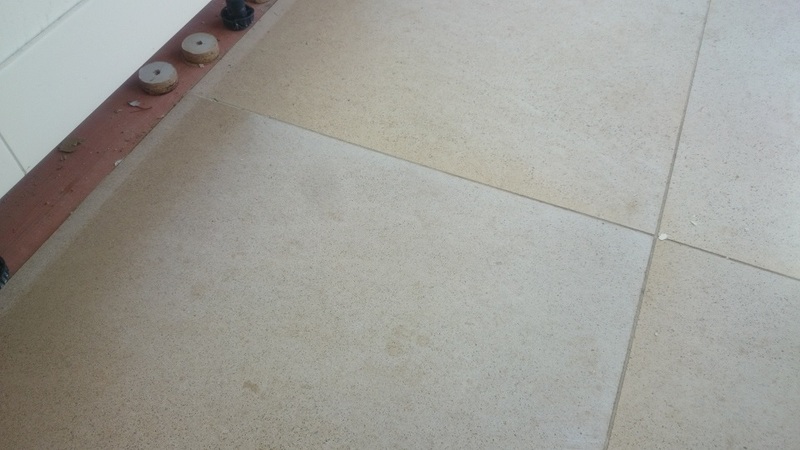 Although Limestone is a hardy natural stone the surface does get dirty and damaged and will go darker over time too, it can absorb stains especially liquids, generally these stains cannot be removed with domestic cleaning products. 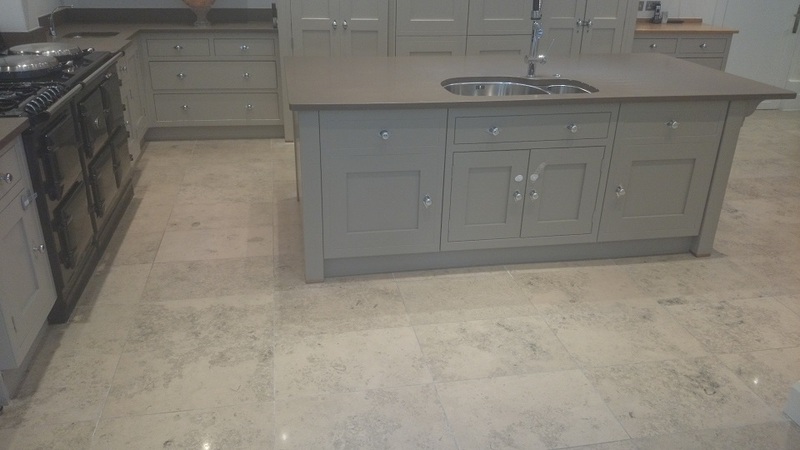 Limestone is also notorious to keep even in colour and finish so if it is not laid and sealed properly customers are often disappointed with the effect it gives. The Solution: Limestone is not the easiest natural stone to clean and restore as it is so hard but porous. However when it is right looks stunning. So often the best process is to deep Clean, Repair, Polish and then protect it with the right Seal. 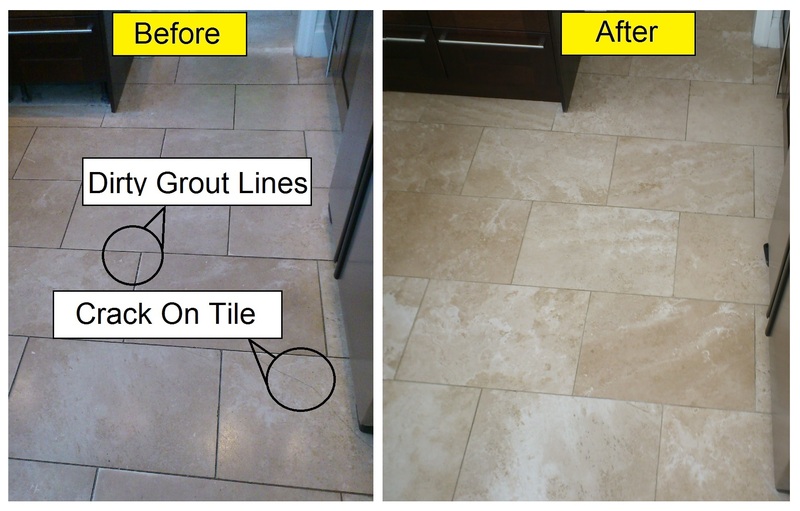 Repairing Limestone especially damage which occurs along the grout lines is done with care and patients, using the right epoxy stone filler. Limestone can be restored to a honed / matt finish or medium polished finish, in some cases it can be polished to a higher shine but it depends on the stone. Most prefer a slight sheen. Getting the right seal and applying it correctly is vital to get the right look on Limestone flooring, patches and staining can occure if the cleaning and sealing process is not done correctly or if the correct machines are not used. The seal will also help protect it from spills which otherwise would seep into the stone and mark it. 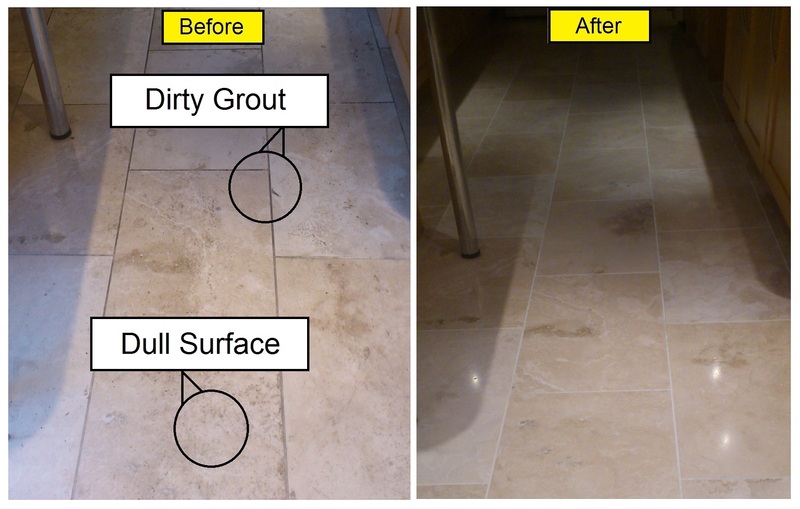 Why Use Bond Stone Cleaning For Your Limstone Floor & Tile Cleaning? Simple, experience and the right process. 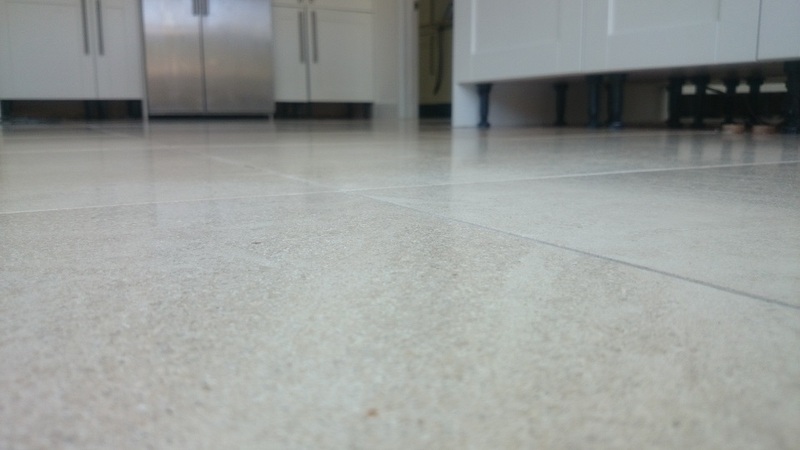 Bond Stone Cleaning have developed their own process which brings your Limestone flooring back to life and will keep it that way for longer. They are not franchised, tied to any one process, system or supplier so they get the right mix of the best ingredients to ensure the work is carried out to get the best results. 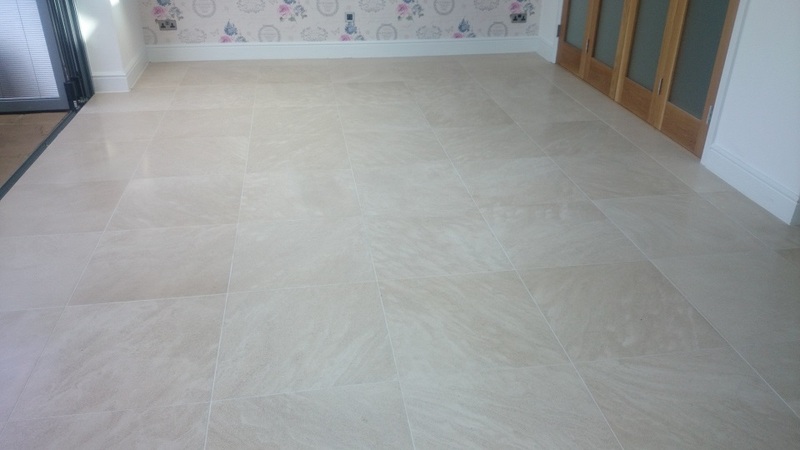 Limestone is used in a variety of forms from toothpaste to road building but most commonly in the domestic environment it is used for flooring. In has also been a favourite in the commercial landscape, being used in banks, hotels and other large buildings. It has been widely used through history as it is readily available through the earth. As with Limestone the vast variety of types of Limestone bring out some great names like: Seashell Limestone, Applestone, Aegean Blue, Nimbus. 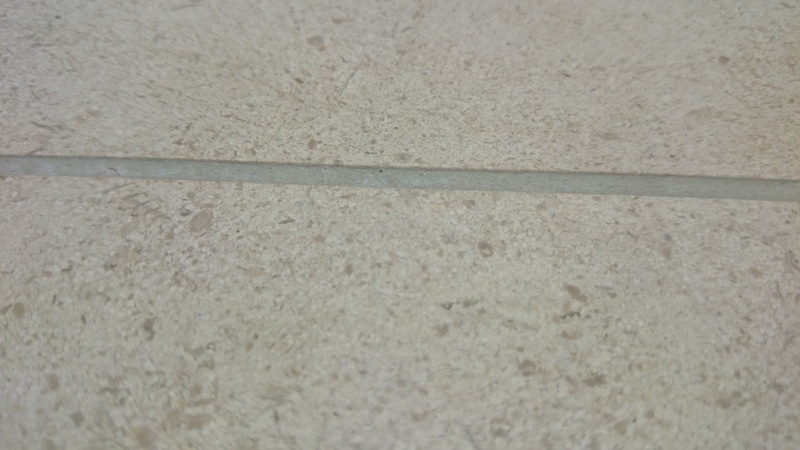 Where it is used: Limestone is mainly used on floors throughout the home and commercial properties.. however it is also used outdoors on modern style homes and on bathroom walls etc.